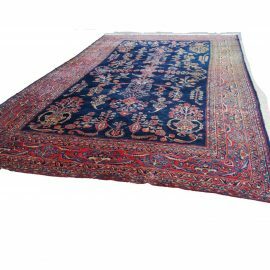 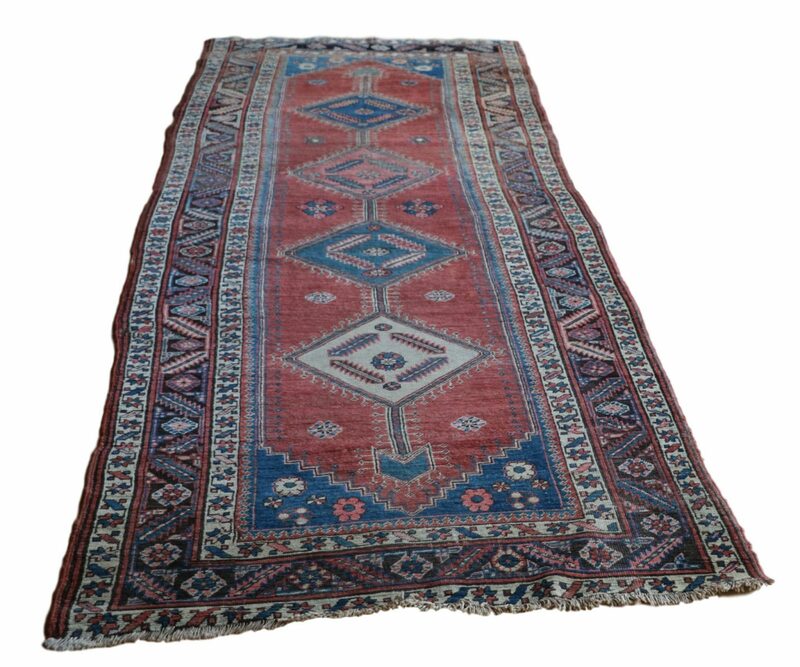 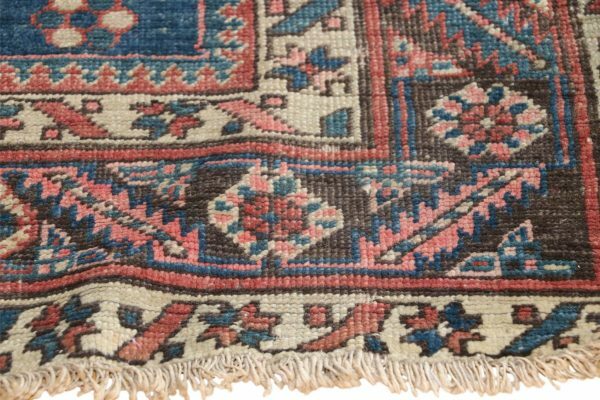 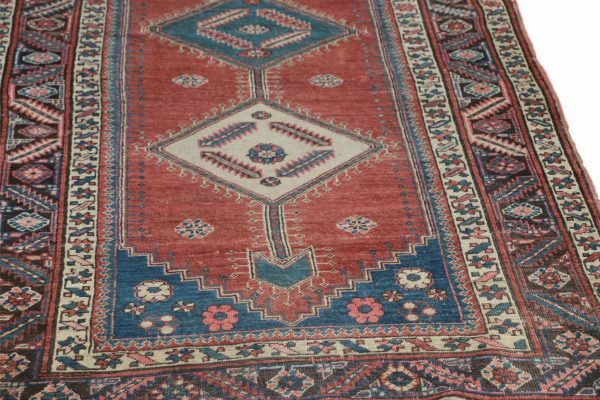 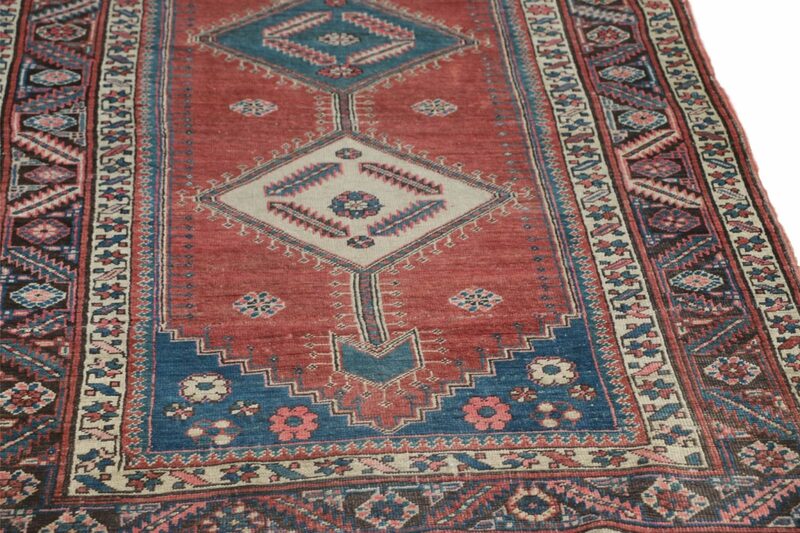 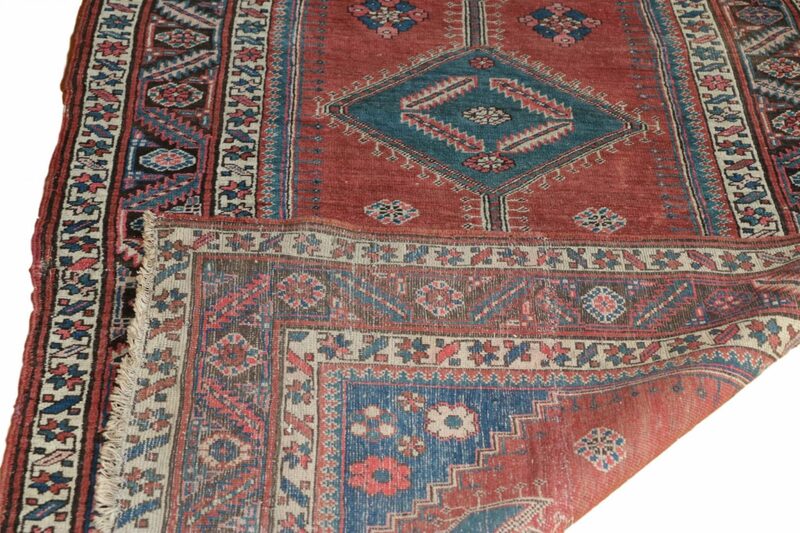 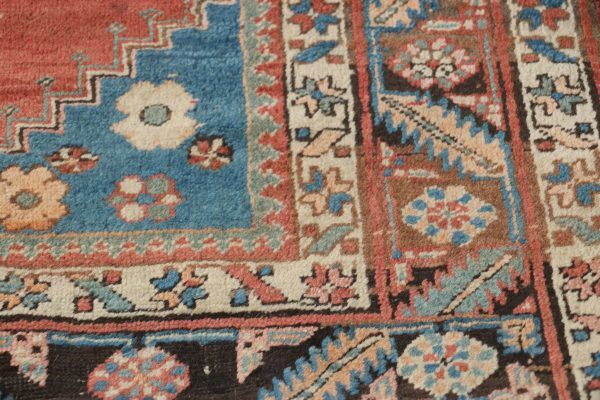 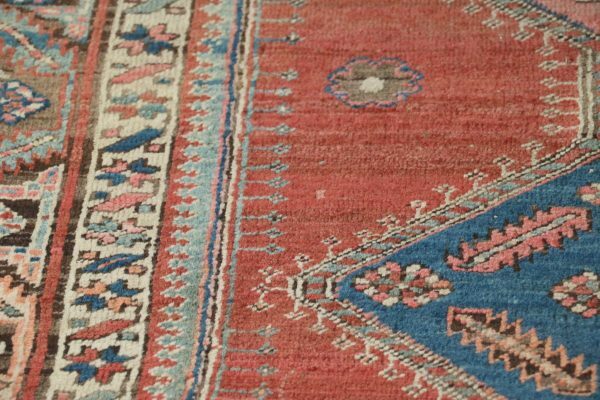 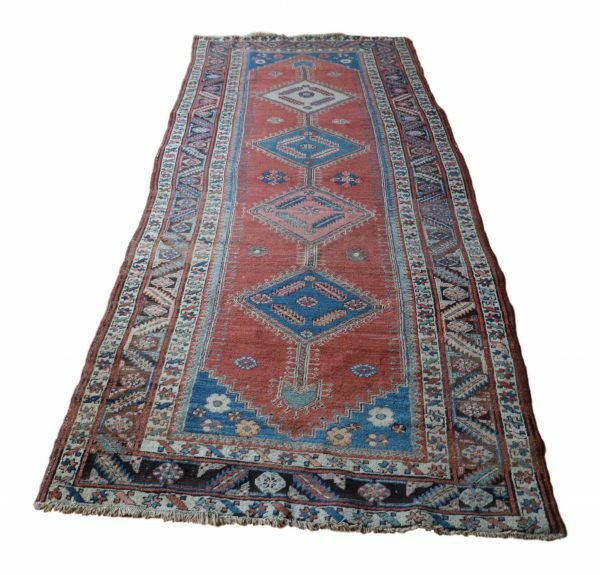 An absolutely stunning Persian Heriz runner. This very fine Heriz runner, north west Persia, wool on cotton foundation carpet was woven during the 19th Century and one hundred years later, the sturdy and rugged knotting in the rug has allowed it to survive in overall excellent condition, displays a charming and rich combination of various jewel colors. 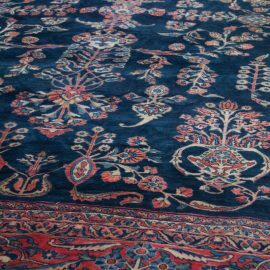 It has worn very well, the pile low a patient product of countless invested hours and a remarkably beautiful result. 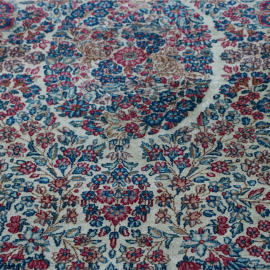 The rich terracotta field has a distinct warmness to it, with a column of four conjoined pendant lozenge medallions enclosing stepped leaves, pale blue stepped flower head spandrels, within a shaded walnut flower head and continuous stepped leaf border, this a remarkably complex and active edge. 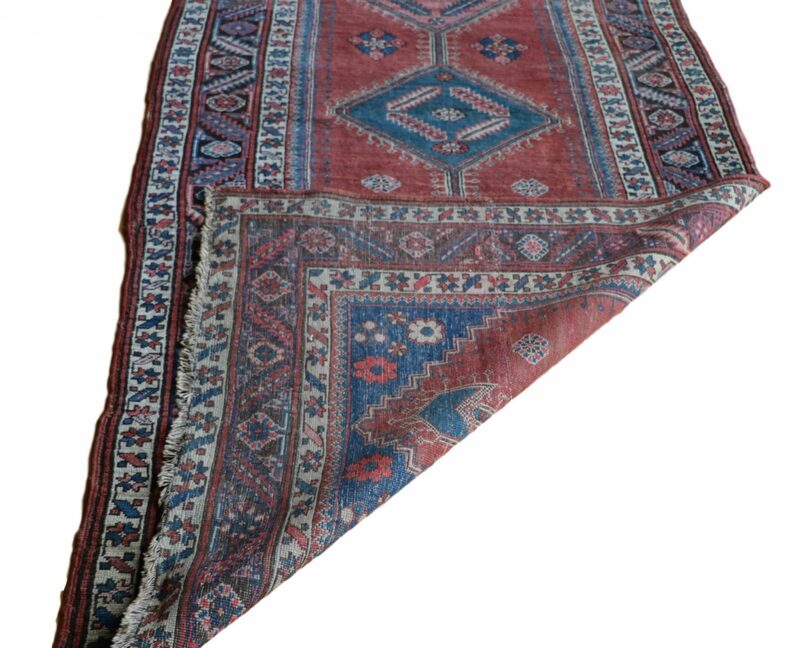 This is a very fine authentic Persian carpet. 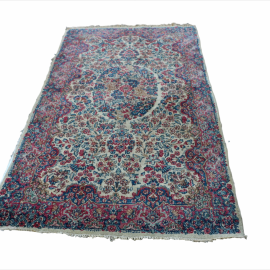 It is a Heriz, a product of the Heriz region of Iran. 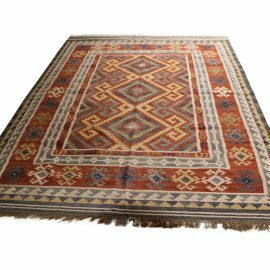 Heriz runners are rare, and not frequently seen. 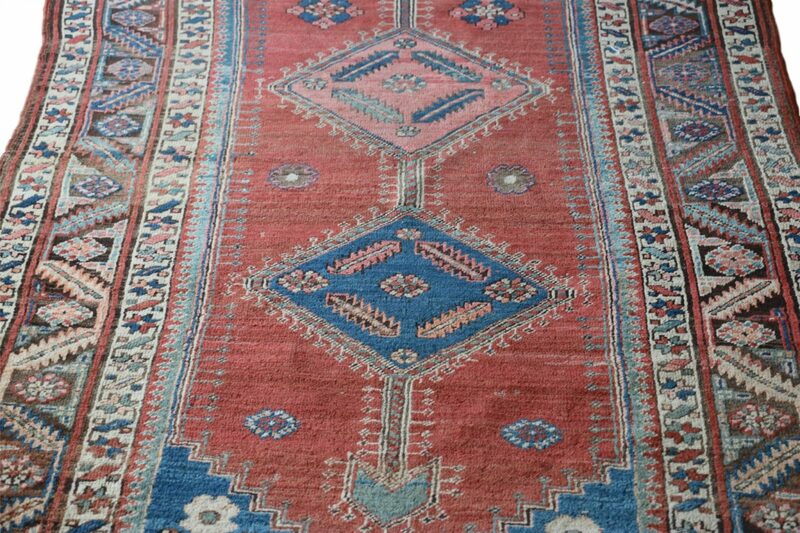 This is a particularly fine and decorative example. The open design and harmonic colours are worthy to note. 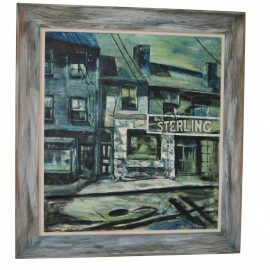 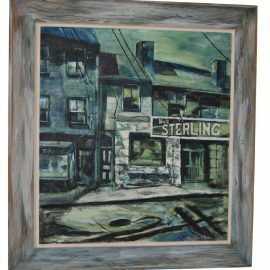 A magnificent runner ready to add to your decor!